October is usually a much slower month for us and we get to go fishing instead of guiding. We have been extremely busy this October and it has paid off for our clients. The brown trout are aggressive and in full spawn mode. The rainbows are eager and eating almost everything to put weight on for the winter. 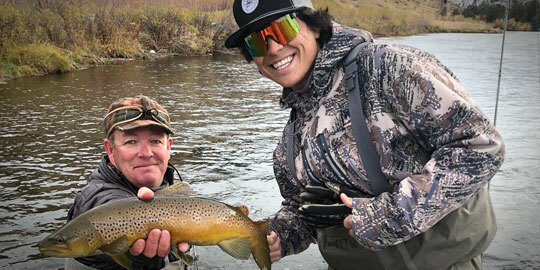 At this time the weather can be inconsistent, but if you are willing to take a chance you can find some unbelievable fishing with uncrowded rivers. The hotels we work with have lowered their rates for the off season and you can save BIG. If you have a few days in the area we will pick the most conducive days for fishing and hit the water. There will be some days not worth being outside, but others that are well worth it. We will be guiding until the middle of November, unless the weather lets us go longer. Come out and fish when the guides fish for some trophy trout. Thinking about fishing streamers? There are a lot of questions that people ask regarding streamer fishing. How long of a leader should they use? Tippet size? Which knot to use to attach the fly to the leader? 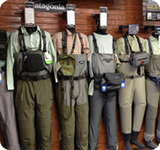 Christmas is right around the corner and if you're like us, there's plenty of room on our Christmas list for a new rod, reel or even waders, to list a few. Have a look at our Techniques - Buying New Gear article for some helpful information. 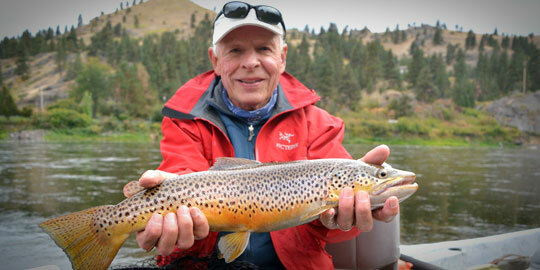 This month’s three flies are centered on the spawning brown trout and the BWO hatch that is happening now. Once the browns prepare to spawn they get super aggressive and territorial about other fish invading their space. Streamer fishing is a lot of work but can pay off in unforgettable ways. Over the past 10 years streamers have really evolved and gotten bigger, articulated and more expensive. I wouldn’t characterize myself as a streamer junkie, but I do enjoy fishing them and the electric feeling when the rod is being ripped out of your hand when a big trout hammers your streamer. I have a big boat boxed filled with streamers big and small in various colors and tied with various materials. By far the streamer I reach for more often is the Coffey’s Sparkle Minnow. I have had great success with this fly, and not only is it super durable but the trout in our area can’t get enough of it. Does it always work? No, fish don’t always want a big meal, but I have confidence in this fly and tie it on often. The next fly is called a Bat Wing Baetis Emerger. This small Baetis nymph is a killer during the appropriate times of year. Remember, there are two hatches of the BWO’s—one in the Spring and one in Fall. The fall Baetis are a size smaller but the same color and profile as the spring hatch, so having the bat wing in two different sizes are preferred. I have had great success with this pattern fished either deep under an indicator, dropped off a dry fly and fished in the film, or by itself on a greased leader for those super picky trout. I believe that this pattern represents either an emerger coming through the water column or a drowned Baetis adult. Give this fly a try the next time you are fishing a Blue Winged Olive (Baetis) hatch, and I am sure you will be successful. The last pattern is called a Cripple Thor Baetis. This small dry fly is a great representation for the Baetis as they ride on the surface of the water. It rides low in the water, but the CDC wing keeps this fly floating well and makes it easier to see, even in choppy water. 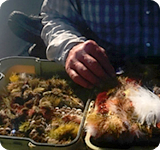 This pattern is especially effective on tail waters such as the Missouri and Big Horn but also works well on the Gallatin, Yellowstone and Madison Rivers. I took a rare four days off the beginning of October for a visit with my mom. It’s been a few years since we visited and she took the long drive up from Arizona for the visit. It wasn’t easy planning to show her Montana between guided trips. The trip was based on having some time together and seeing some new sites. On a suggestion from my significant other we all headed up to Bannack, MT to check out a ghost town outside of Dillon. In the middle of nowhere, we spent the afternoon walking across this once mining boomtown that story parallels many old western films. Outlaw sheriffs, a booming hotel, old outhouses, a jail with a view of the gallows and many fortunes made and lost. We probably spent 4 hours wandering around a town that at once serviced 3000 people but what still stood looked like it would house 30 people. It was amazing to see how people lived back then. Some of the standing houses would be hard to believe that more than one person could inhabit them. Then to see the hotel, and almost hear the spurs clinking as I looked up the curved staircase. It was a pretty cool experience to read about the history and imagine what it was like. I was so inthralled with the history, that I barely looked at Grasshopper Creek which flowed just behind town, which is a difficult task for a long time outfitter. Founded in 1862 and named after the local Bannock Indians, it was the site of a major gold discovery in 1862, and served as the capital of Montana Territory briefly in 1864, until the capital was moved to Virginia City. Bannack continued as a mining town, though with a dwindling population. The last residents left in the 1970s. 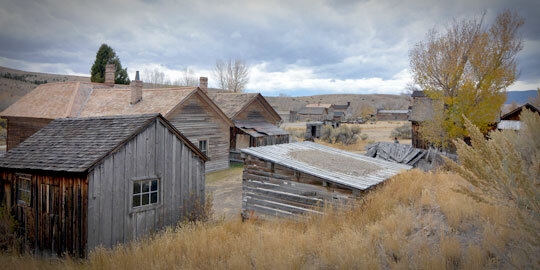 At its peak, Bannack had a population of about ten thousand. Extremely remote, it was connected to the rest of the world only by the Montana Trail. There were three hotels, three bakeries, three blacksmith shops, two stables, two meat markets, a grocery store, a restaurant, a brewery, a billiard hall, and four saloons. Montana has many more things to offer than world class fishing. 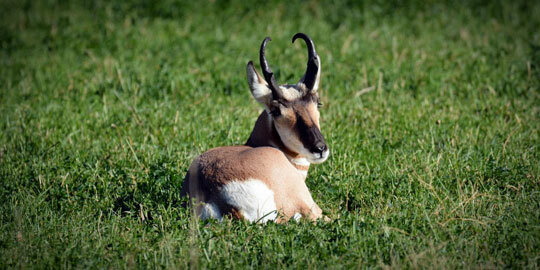 But sometimes you have to get off the beaten path to see some really extraordinary experiences. I have lived in Montana for 25 years and had many firsts on this trip. It really opened my eyes to getting off the beaten path.